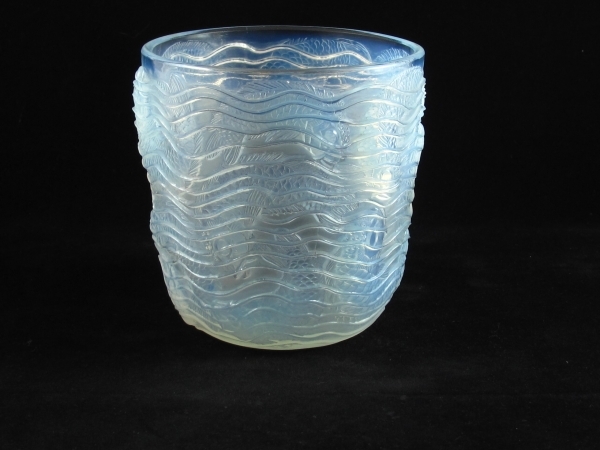 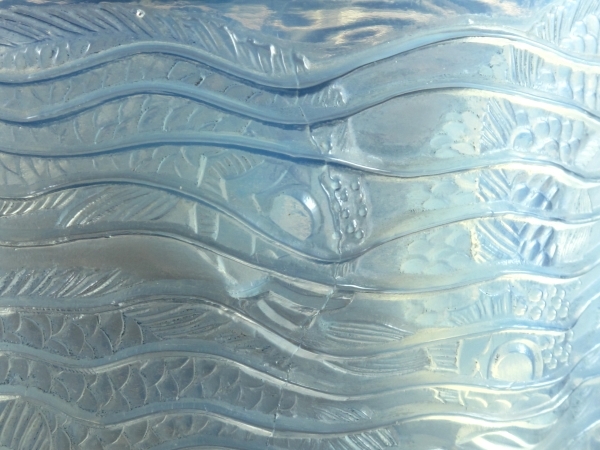 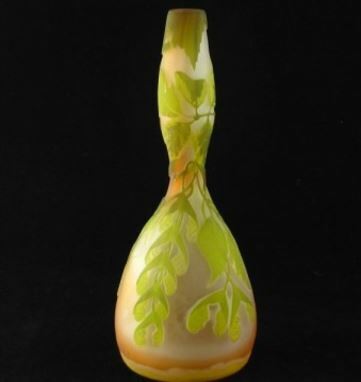 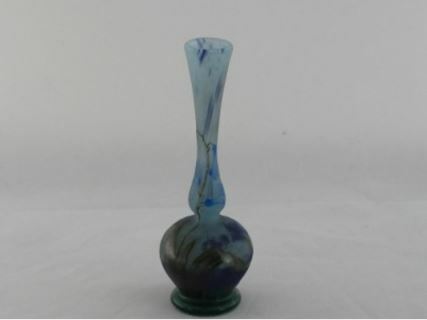 Rene Lalique – A striking early 20th Century Art Deco French opalescent glass vase in the very rare Dauphins design. 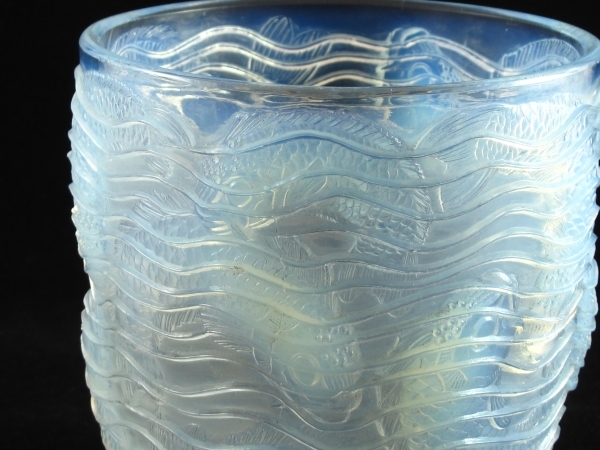 Decorated with Dolphins swimming in waves and with a stunning opalescence that enhances this beautiful design. 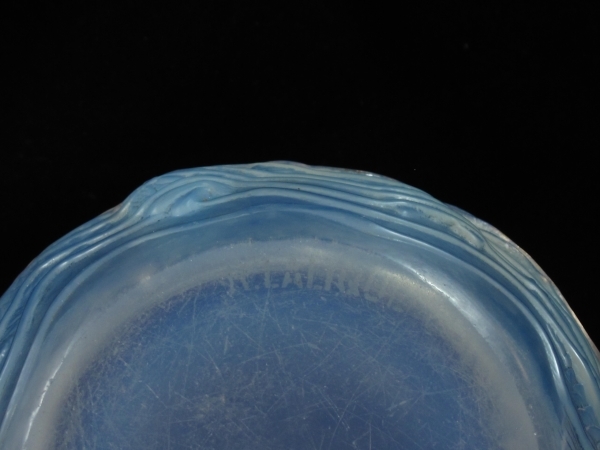 Acid etched signature R Lalique to the underside. 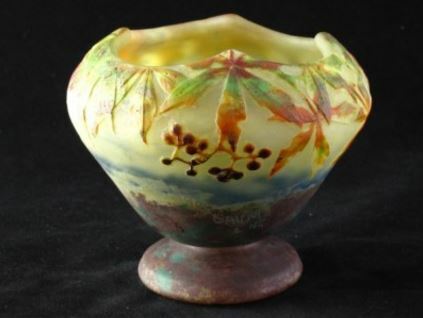 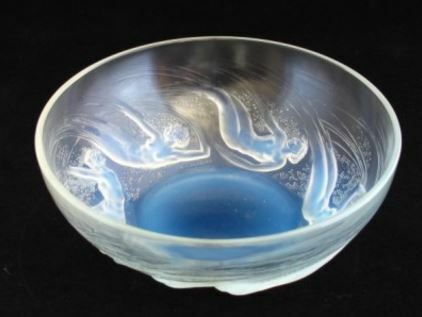 The design was first introduced in 1934 and has a Marcilhac number 10.-900 A very attractive piece that would enhance any collection and shows the great skill and quality of the master craftsman.